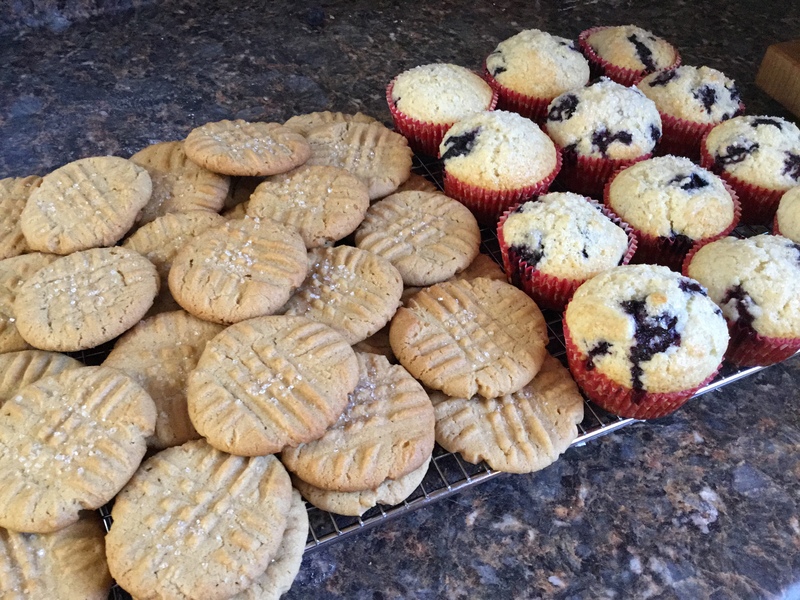 Since this is a new blog and I haven’t been posting much elsewhere on what I’ve been cooking, I thought I would share a few things here. We recently had Hubby’s birthday supper. He requested sushi, so I complied. 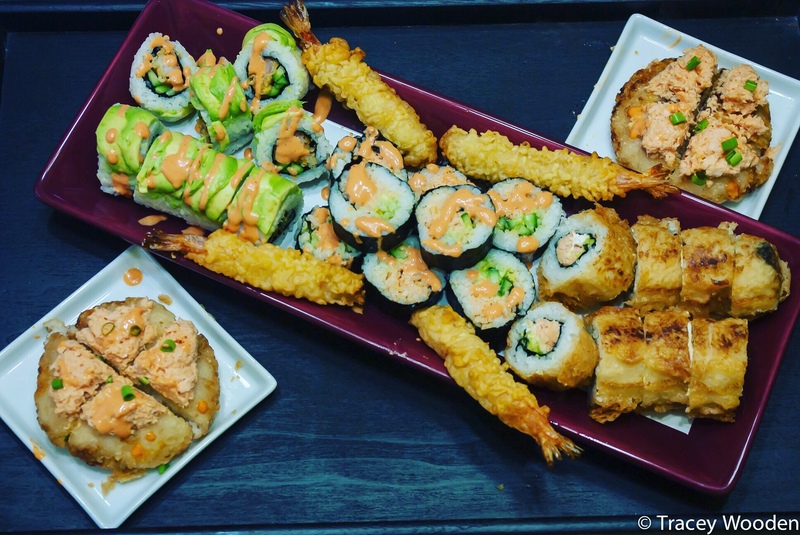 I made a dragon roll, our version of Sushi Fang’s Tasty Roll, and a spicy California roll. I also made our version of Sushi Fang’s spicy crab sushi pizza. (I still haven’t quite worked out how they get the golden color). It was all delicious if I do say so myself. 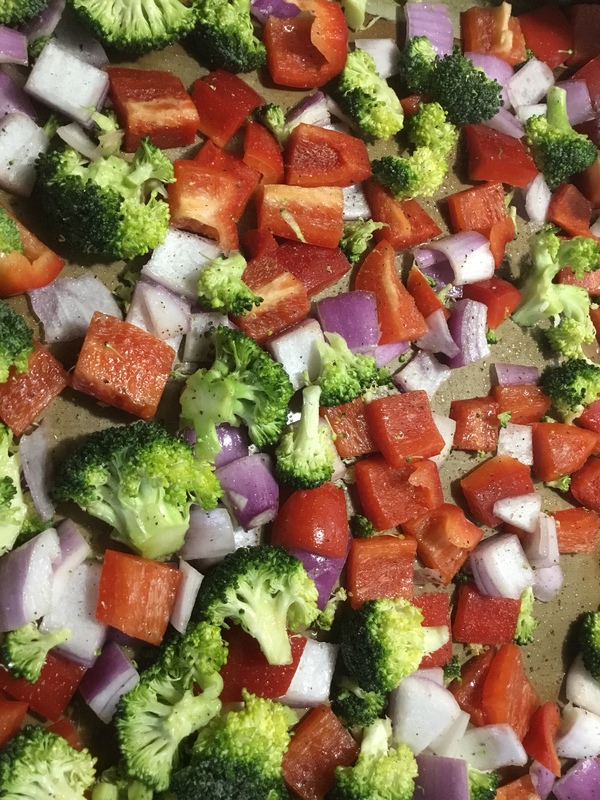 Next is a picture of some veggies about to be roasted for a tasty vegan lasagna. 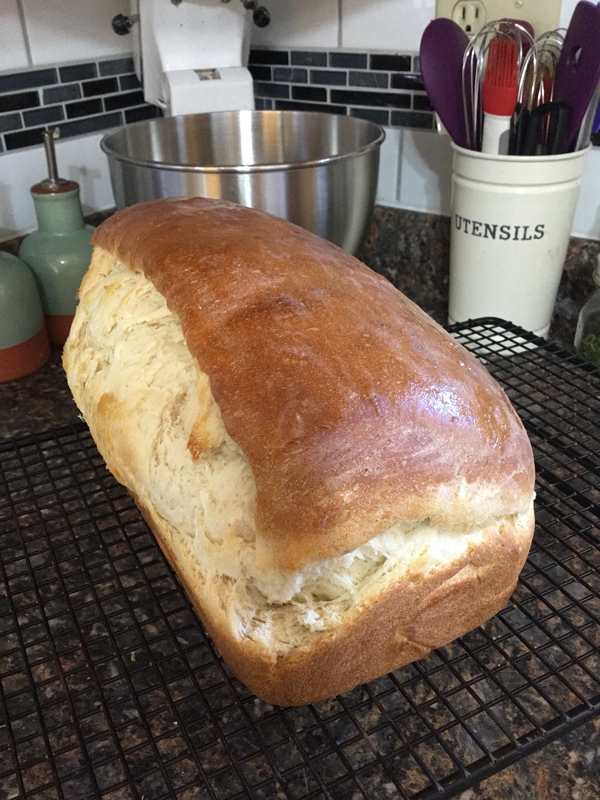 Unfortunately, I forgot to get a photo of the finished product! 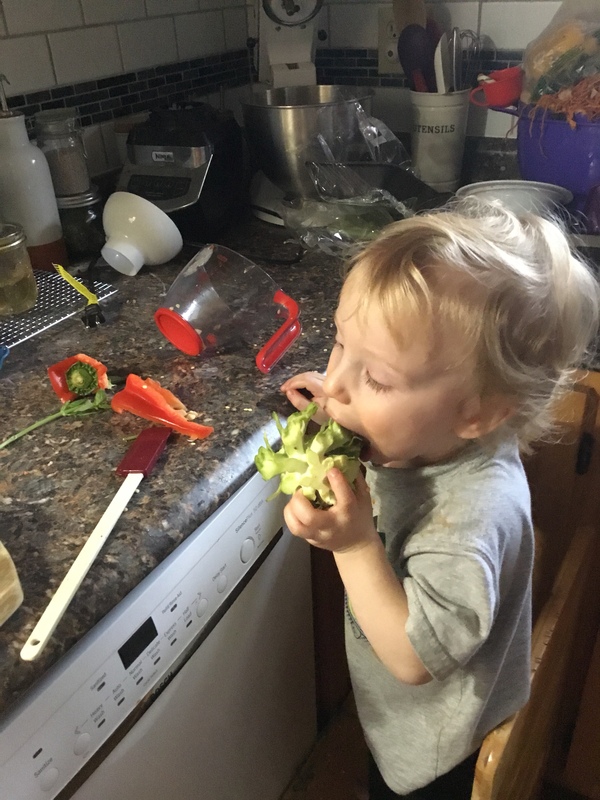 😓 Then you will see a picture of my constant kitchen “helper”, Mr. Moo, my 18-Month-old. 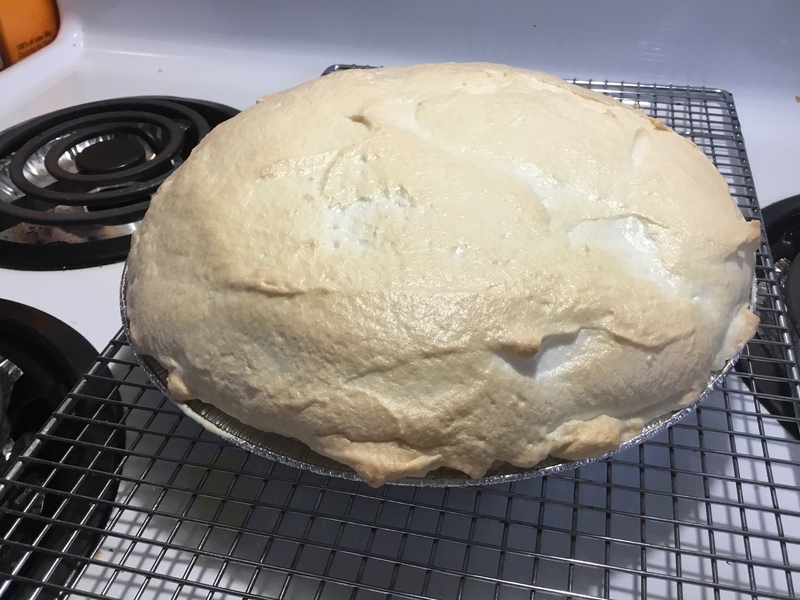 Some other items I have cooked or baked (and remembered to snap a picture of 😜) are lemon meringue pie, rich egg bread, blueberry muffins and peanut butter cookies. All are pictured below. Previous postAdventures in Nature with Kids!